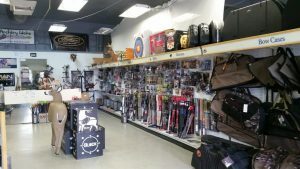 Bow hunting supplies can be an expensive investment for any newcomer to the sport, and deciding on the type of equipment you want to buy can be a daunting experience, so it is, by far better to do some research and make some decisions before you go shopping. There are many sites online you can use to research everything you could possibly need and gather the information you need to make informed decisions concerning Bow hunting supplies. Aside from your bow, the most expensive part of bow hunting supplies, aside from your bow, is your scope. As far as scopes are concerned, the better the lens, the more expensive the scope will be. You can find scopes from $50 to approximately $250 or more. Now, some of the middle to upper middle scopes are actually quite good, just know there is a difference in quality that is directly reflected in the cost of the scope, and you will see a huge difference between a $50 scope and a $250 scope. The best news is that, unless you are planning on doing a lot of target bow shooting, a scope really is not necessary. Standard or tree sights and guards are usually sufficient as far as bow hunting supplies are concerned. Another item you will want to put some thought into are bow hunting cases. You can buy hard cases, soft cases, or hybrids. Hard cases can be large enough for a couple of bows, arrows, sights or scopes, and other necessary items, and are needed to transport bows and supplies, especially during travel and over rough terrain. They protect from damage, water, and prevent sights and scopes from taking damage and affecting your equipment, resulting in a shot that is not true. The downside is that such cases are cumbersome and heavy. They can be difficult to carry in the woods, and heavy. A hybrid case is a mix of hard case material and lighter weight materials such as nylon, which is incredibly durable. These cases are often water proof as well as being light enough to maneuver into your hunting area. The main thing is to plan ahead and research so that you will know what to expect. Get advice from professionals and do your best to buy the best equipment for your needs that you can afford.